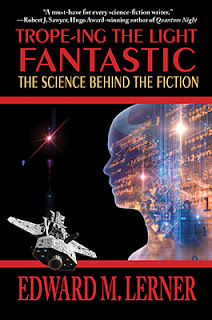 I am pleased to announce the release today of Trope-ing the Light Fantastic: The Science Behind the Fiction. Trope-ing? There's a funny word! So what is this book? In a nutshell: The essential resource for anyone who reads, writes, watches, or studies science fiction. Men have walked on the Moon. Siri and Alexa manage — at least often enough to be helpful — to make sense of the things we say. Biologists have decoded DNA, and doctors have begun to tailor treatments to suit our individual genetic make-ups. In short: science and tech happen. But faster-than-light travel? Time travel? Telepathy? A six million dollar — as adjusted, of course, for inflation — man? Starfaring aliens? Super-intelligent computers? Those, surely, are mere fodder for storytelling. Or wild extrapolations. Just so many "sci fi" tropes. Sometimes, yes. But not necessarily. 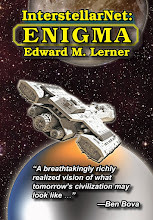 In Trope-ing the Light Fantastic, physicist, computer engineer, science popularizer, and award-winning science-fiction author Edward M. Lerner entertainingly examines these and many other SF tropes. The science behind the fiction. Each chapter, along with its eminently accessible scientific discussion, surveys science fiction — foundational and modern, in short and long written form, on TV and the big screen — that illustrates a particular trope. The good, the bad, and occasionally the cringe-worthy. All imparted with wit (and ample references to learn more). And what's the early buzz? I'm happy you asked. "I am entertained and enlightened." "... Covers a huge number of topics well and provides great scientific and science fictional stimulation." 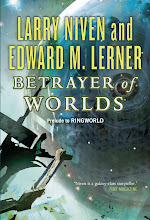 "A great source book for SF writers." "A must-have for every science-fiction writer. 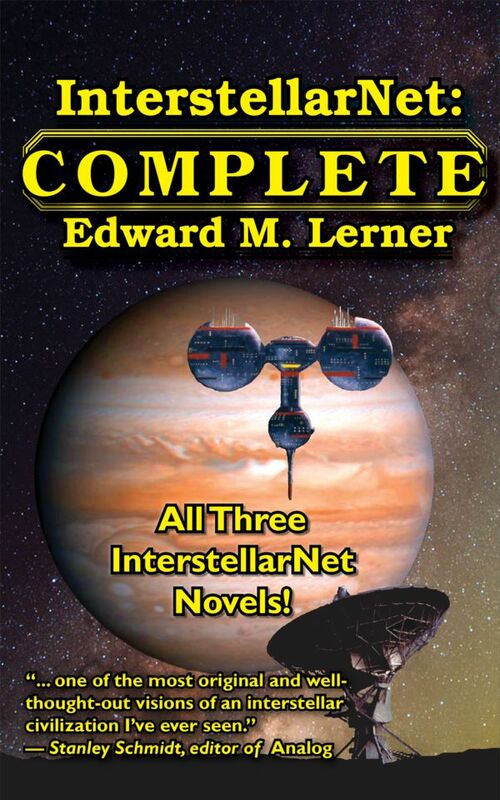 Edward M. Lerner has produced the best-ever guide to putting the science in science fiction, and he's done it with clarity, wit, and panache. A terrific book — I'm recommending it to all my colleagues, and to all those who hope ​someday to be professional SF writers." "... Worth your time, your money, and your consideration, whether you're interested in accessible science, looking to understand trends in science fiction, or — optimally — both." This being a commercial announcement, here are links to Amazon for the Trope-ing hardback and Trope-ing Kindle editions. (As I type, Amazon is discounting the print edition from cover price by 20+ percent. I can't say how long that may persist.) A trade-paperback edition will follow in due time. Other etailers will, of course, also offer Trope-ing in print and their respective ebook formats. If you are a brick-and-mortar shopper and your favorite bookseller doesn't have Trope-ing in stock, s/he will happily order a copy for you. Title and author generally suffice, but the print-edition ISBN may also be helpful: 978-1-61242-365-4. And a final comment: if you read, and like, Trope-ing (or any other book, by any author!) consider posting a review on Amazon, Goodreads, Librarything, or the review venue of your choice. Wow! A Robert Sawyer endorsement!? You rock! Mazel Tov! It is, indeed, a Rob Sawyer blurb.